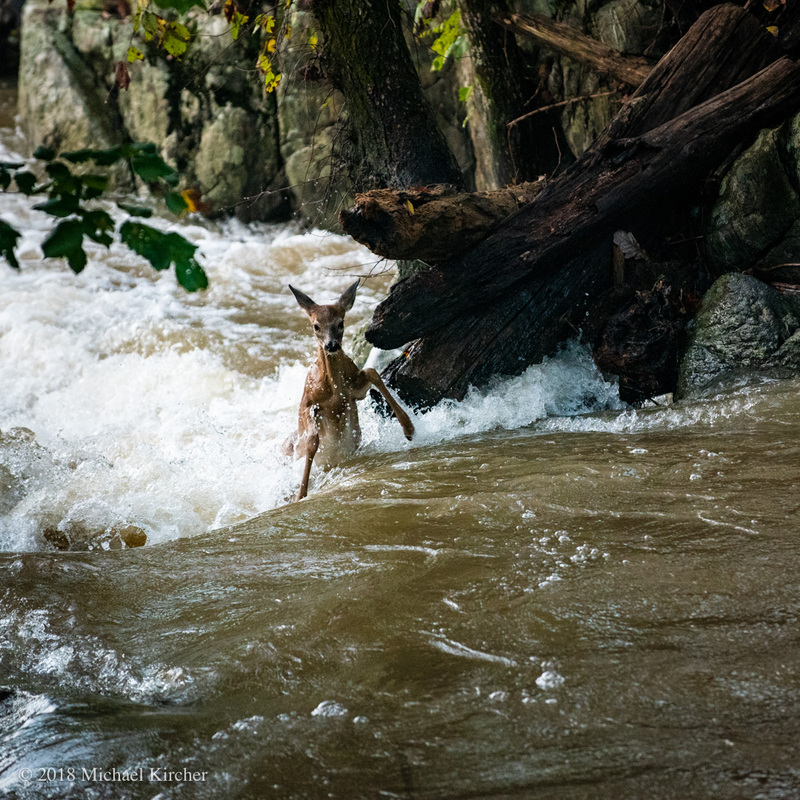 Fawn takes on the whitewater! This was an unusual sight! A small deer tried to cross this stream and nearly got washed away. All ended well, however. Eventually made it to the other side.